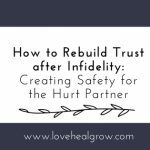 Last week I wrote about rebuilding trust after infidelity. Much of the focus was on helping the hurt partner heal after they learn about the infidelity. 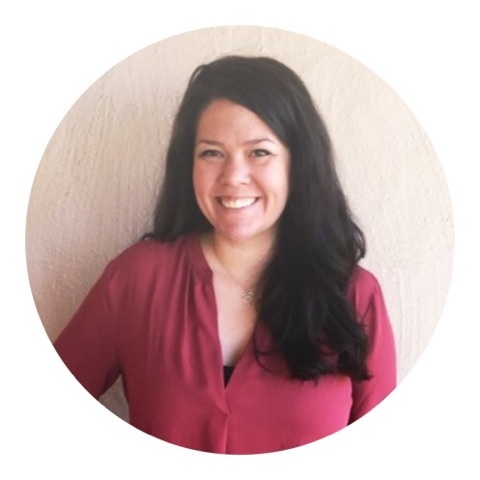 This week, I want to talk about the partner who had the affair. While the unfaithful partner* must take responsibility for their actions and communicate remorse in order for the relationship to heal, it’s also very important to support this partner in their own healing. Communicate these needs to their partner instead of keeping secrets or looking outside the relationship. Whatever the reasons the unfaithful partner chose to have the affair, the real issue is that they were not able to be honest with their partner about what they were thinking, feeling, wanting or doing. We keep secrets in our relationships when we don’t think our partner will be able to accept us for who we are or we fear rejection. In order to move from secret-keeping to honesty, we need to trust our partner will be able to handle the truth. That they will listen to us, accept us, and not judge or reject us. In the crisis of finding out about a partner’s affair, it can be especially hard for the hurt partner to meet the unfaithful partner with love and acceptance. 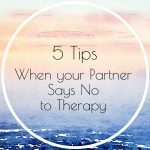 This can perpetuate their fears that they will never get what they need in relationship. As the hurt partner heals, it is important that they are able to help their partner rebuild trust by encouraging honesty and meeting them with acceptance. 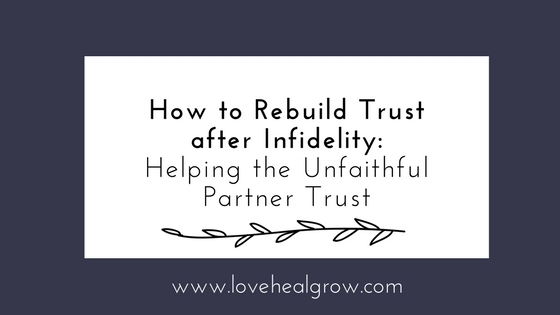 If you find yourself getting stuck in the rebuilding trust process, couples therapy and infidelity counseling can be helpful. 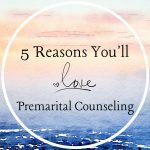 With time, you can get unstuck and better communicate the love you have for your partner. 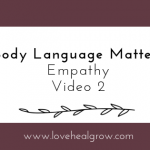 Want to hear more about the hurt partner and what they need in order to heal? Check out last week’s post: Creating Safety for the Hurt Partner. *When writing about infidelity, I use the terms “Hurt Partner” and “Unfaithful Partner,” coined by Janis Spring, PhD. I do this so you know who I am talking about, but not to minimize the fact that both partners are hurting.